NOW OFFERING PICK UP AND DELIVERY SERVICE! 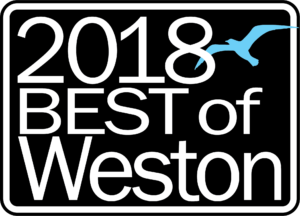 OUR CITY WESTON BEST OF WESTON 2009-2018! 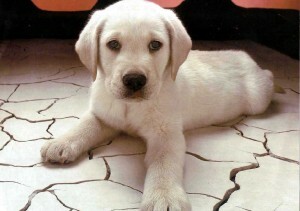 Different dogs demand different cuts. 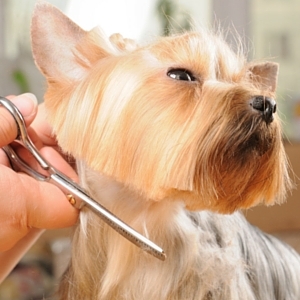 Ask us about the best cut for your pooch. 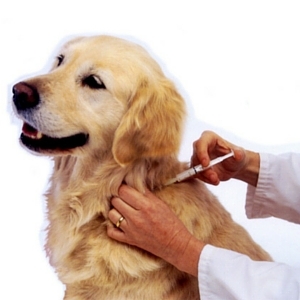 Keep your pet healthy by staying current on their vaccinations. We make it VERY easy! 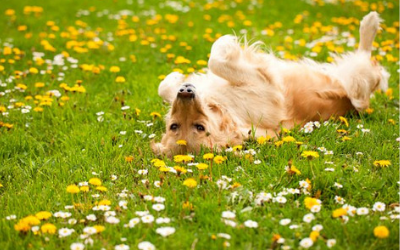 At K-9 Kuts your pet’s well-being is our #1 priority! Learn about the steps we take. (Updated April 1, 2019) Please feel free to print this sheet and bring it in when you drop off your pup(s). 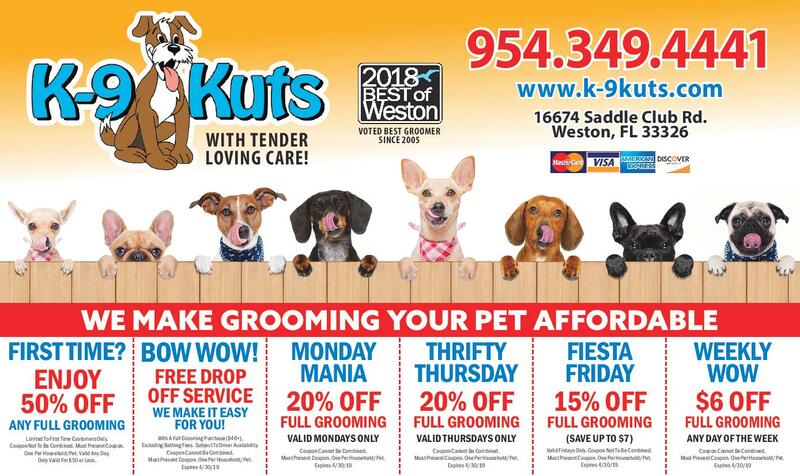 Be sure to click to get the April, 2019 coupons for K-9 Kuts. Then call 954-349-4441 to schedule an appointment. March is here and so are the March coupons! Don’t forget to set your clocks ahead Sunday at 2:00! 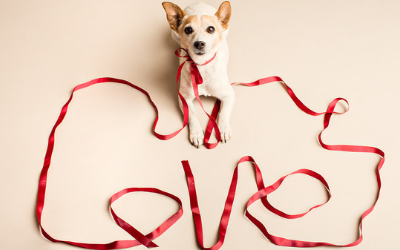 We’re showing you the love with brand new coupons this month! Check ’em out, print ’em out and come on in! 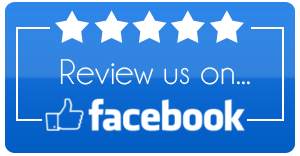 Proudly serving residents of Weston, Bonaventure, Soutwest Ranches, Davie, Sunrise & Beyond! 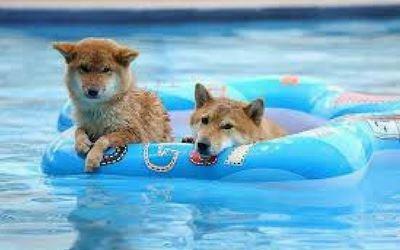 If you are looking for a dog groomer in Weston, or a business that provides pet grooming services in Weston, look no further than K-9 Kuts. 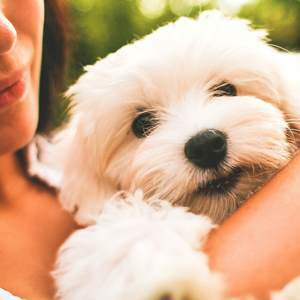 From custom grooming to baths / bathing services, nail trimming, vaccinations, and every other grooming service you can think of, K-9 Kuts is your answer. Proudly serving clients from Weston, Bonaventure, Sunrise, Davie, Plantation, Fort Lauderdale / Broward County and even people in Miami, Florida.